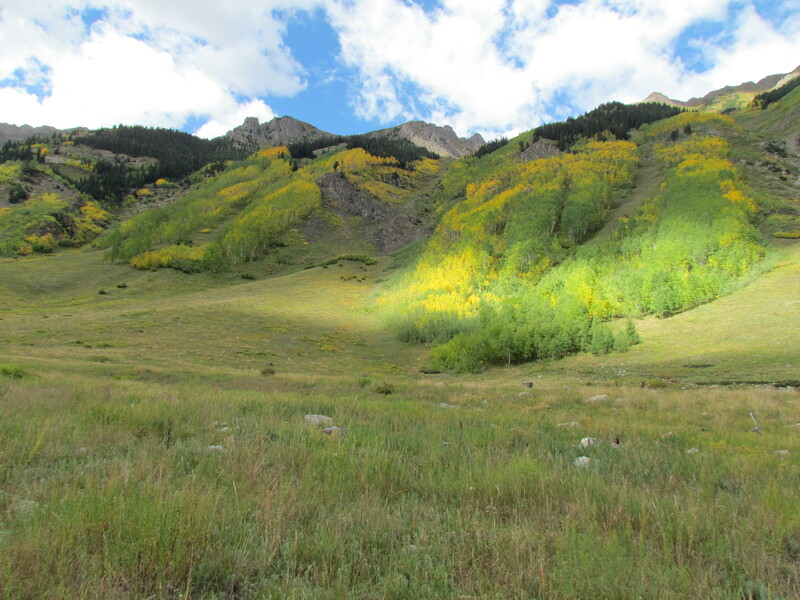 If a wilderness area is heavily used by people, can it really even be called wilderness? I looked up the definition of wilderness as a starting point to answer this question. According to the Wilderness Act of 1964, Wilderness is, in contrast with those areas where man and his own works dominate the landscape, recognized as an area where the earth and its community of life are untrammeled by man, where man himself is a visitor who does not remain. I followed that up with an online search for other definitions. The first one that came up was: “an uncultivated, uninhabited, and inhospitable region.” All that negativity seemed more than a little harsh, and admittedly threw me. I’ve always believed that wilderness “cultivates” physical and spiritual well-being and artistic expression of human visitors, and is inhabited by rich communities of plants and animals, who find it exceptionally hospitable. I got to work reconciling these two definitions, at least for my own edification. On one hand, the “official” definition makes it clear that it’s not about humans. On the other hand, the “common” definition makes it clear that it’s really all about humans, and wilderness areas apparently aren’t worth much if we can’t grow things, build a house there, or dawdle over a freshly brewed cinnamon latte. In a twist of irony, I realized that “uncultivated, uninhabited, and inhospitable” encompass some of the most trashed-by-man areas on earth, places like tar sand open pits, hazardous chemical dumps, oil refineries, and nuclear waste repositories – “true wilderness” for sure. So maybe wilderness areas can be considered wilderness when they are pristine and “inhospitable” to humans. Once they begin to be used by humans they begin to be inhabited, and thus would seem to not qualify as wilderness. Once they are completely trashed by humans and are once again inhospitable, they would seem to qualify as wilderness again. So much for my reconciliation. The U.S. has 758 Wilderness Areas protected as part of the National Wilderness Preservation System under the jurisdiction of four Federal agencies: the Forest Service, the Fish & Wildlife Service, the Bureau of Land Management, and the National Park Service. There are almost 110 million acres classified and protected as Wilderness, and they range from rarely visited by humans to those that host people pretty much daily. For those that see daily visitors…well, humans do what comes naturally to humans. This, unfortunately, too often includes disregarding rules, being messy with food, a disdain for mud that translates to walking around mud holes that damages living vegetation thereby making mud holes bigger, and, well, you get the picture. My daughter and I recently hiked the 17-mile “there and back” to Conundrum Hot Springs in the Maroon Bells – Snowmass Wilderness Area near Aspen, Colorado. 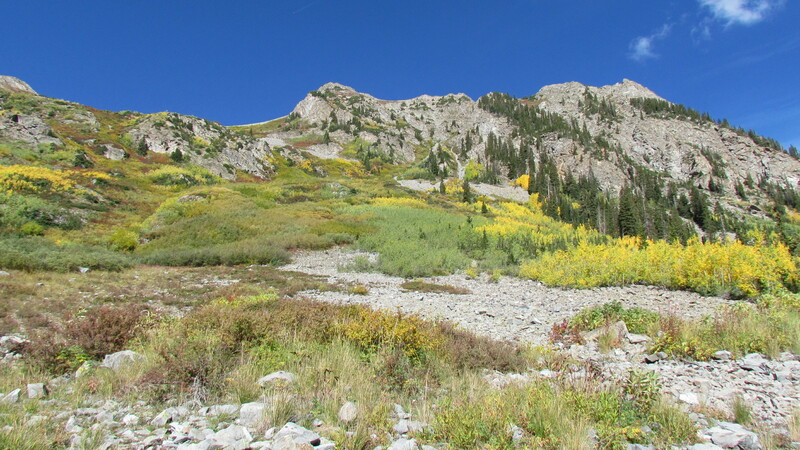 The site is popular, because as the name explains, there are two primitive hot springs located just above the tree line at an elevation of 12,500 ft. It’s a very steadily uphill climb of about 2,500 feet from the trail head to the hot springs along a trail that more or less parallels the Conundrum River up through the river valley. The trail is rated as ‘difficult’ mostly because of the length, not because there is anything technical about it. 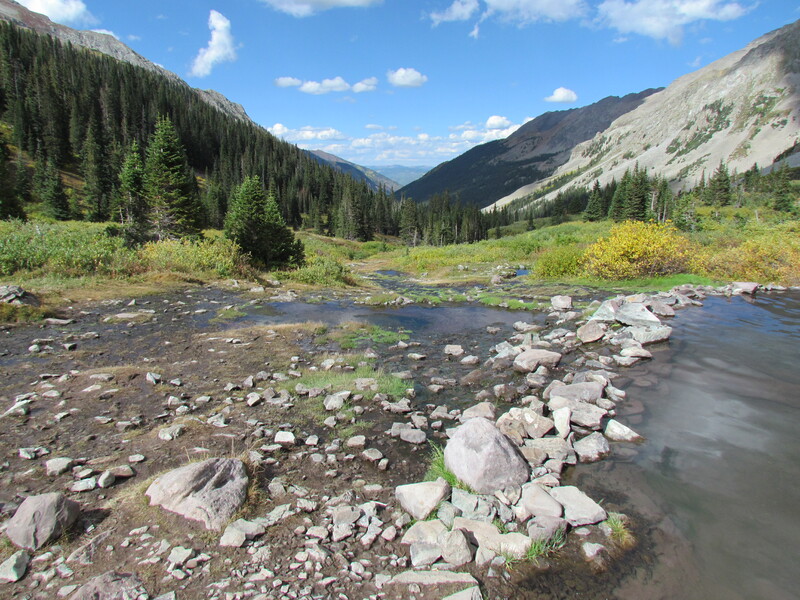 The views of surrounding peaks, several over 14,000 feet, and high mountain meadows are spectacular. 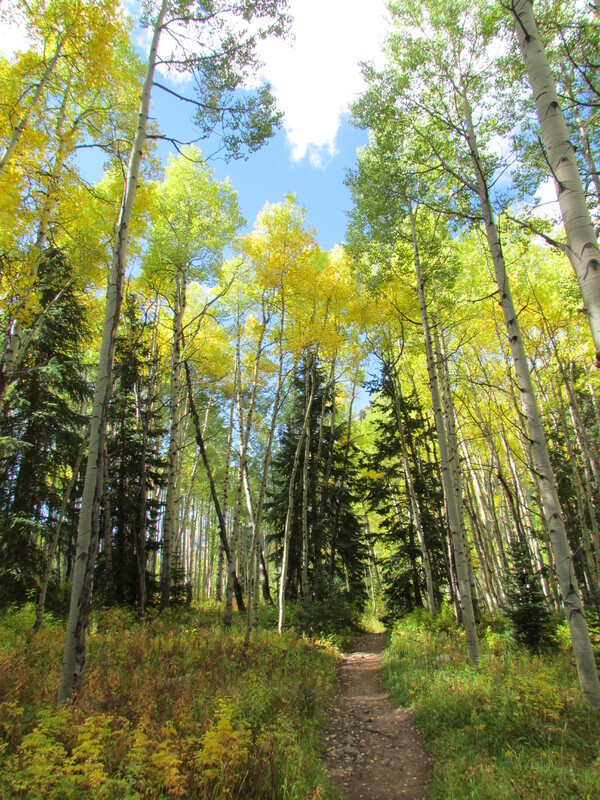 If, like me, you’re lucky enough to time your hike when the fall color of the aspen leaves is peaking in brilliant yellow, and the sky is a clear-as-a-bell stunning blue with perfect puffy white clouds, the views will take your breath away. Considering that you’re already gasping for air from hiking at that elevation, well I can’t say that it’s exactly a safe thing to do to gaze upon a view like that! July and August are the most popular months at the springs, and there are pictures on the internet of people sitting practically in each others’ laps in the springs during peak weekends and holidays. In light of the prevailing clothing optional policy, I’d say that bathing in the springs when they’re that crowded might be a bit more “up close and personal” than some people I know might be comfortable with. I wouldn’t exactly say it was like a rush hour subway when I hiked it mid-week in mid-September, but it was too “populated” to call it a true wilderness experience for sure. Word at the top was that there were about 40 people in the springs during the previous weekend. There were probably around 20 hikers scattered among the campsites the night my daughter and I were there, and we chose one of the campsites in the forest below the springs, where nothing but Canada Jays kept us company. There are plenty of black bears in Colorado, and it’s inevitable that heavy human use in natural areas attracts bears. Sure enough, there was a sign on the Trailhead that warned about a bear “incident” exactly 2 weeks before my hike. No other details were provided, but it made for lively conversation with other bathers up in the springs given that the word “incident” covers everything from an unseen bear having relieved itself in the trail, to a bear trying to extricate someone from their sleeping bag. Whether it’s for bears or people, many Wilderness areas require some type of “management.” This management ranges from essentially doing nothing other than letting nature take its course, to monitoring for fires, through to fairly rigorous maintenance and people management. Prime example of trail creep. 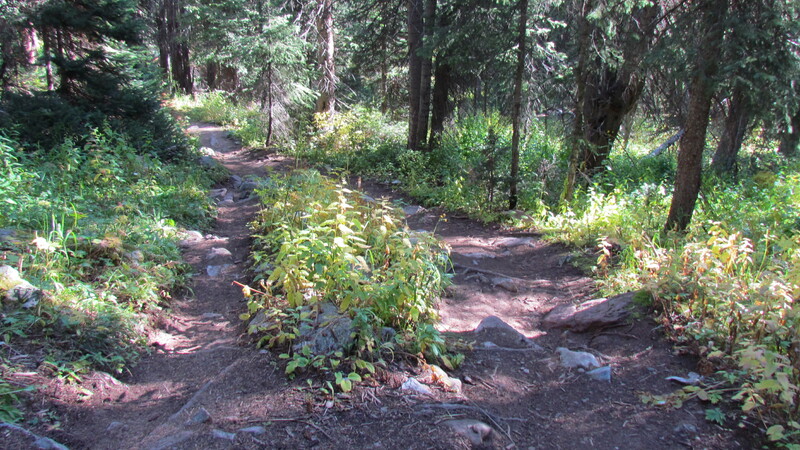 The Forest Service is taking steps to maintain the wilderness quality and integrity of the area by instituting rules for the use of the trail and hot springs. 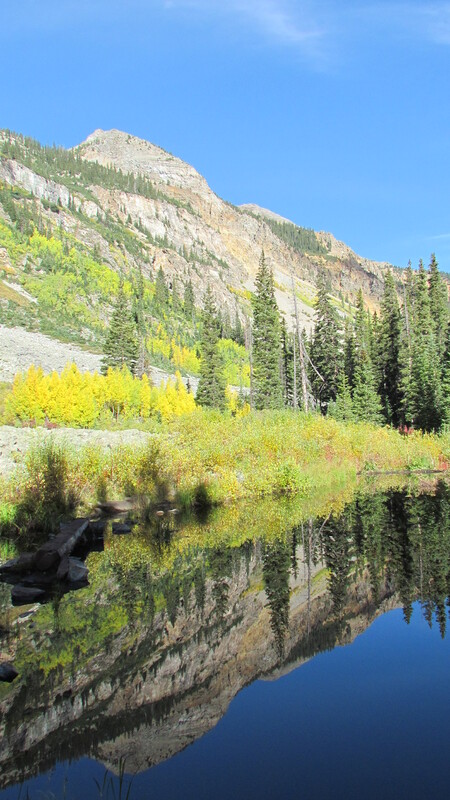 In an attempt to regulate numbers of visitors, no day hiking is allowed; if you want to visit the springs, you need to put some effort into it and make it a true backcountry experience. No dogs are allowed within about 2 miles of the springs. No fires are allowed at any of the designated campsites at the top. Obviously, visitors are asked to pack out all garbage and waste. I’m not sure if its inability or unwillingness to read, or an in-your-face renegade attitude, but encountering rule-breakers in these situations seems to pretty much be, well, a rule. During my visit, campers near us brought two dogs, which accompanied their owners back and forth on their trips for “dips” in the springs. I also passed about five hikers walking up when I was walking down, one of whom explained happily he was day-hiking, while tiny day packs revealed the guilt of the others. Ashes at our campsite revealed that someone had a fire of some type within a no-fire campsite. I also picked up various items of trash as I hiked. Still, I had an wonderful experience on the hike to Conundrum. The weather was perfect, the trails were dry, scenery was incredible, and, heck, my daughter and I even had the hot springs to ourselves for a brief 5 minutes or so in the late afternoon. The Forest Service seems to be doing a fine job managing visitation at this attraction, and whatever they did to “manage” the visitors so that we could experience peace and quiet in the springs, well I’m damn grateful. The area around the hot springs. As for rule breakers….come on people, seriously? 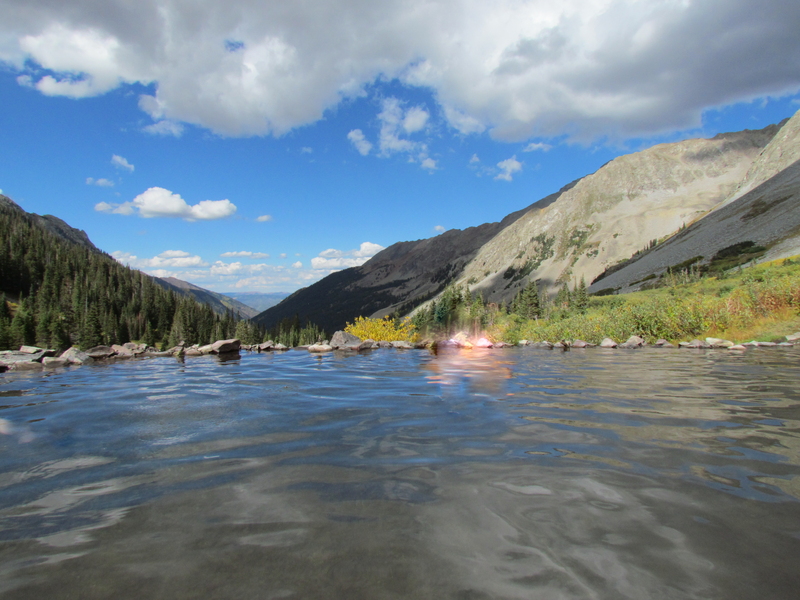 How many backcountry hot springs are there in the U.S.? Does enjoyment of these sites really have to include making sure that those that follow have something less than you had? Many people truly seem to struggle with comprehending just how precious wilderness is. I once had a heated discussion with a person who insisted that roads should be built into all wilderness areas so that they could be experienced by all without discrimination. His logic made my head hurt, and reminding him that, by definition, wilderness wasn’t FOR people, didn’t help in the least. After all, everything is all about us, right? On a recent canoe trip to the wilderness of Labrador, my group of three was dropped off by floatplane on a small lake in the uppermost reaches of an unnamed river. As we paddled, we marveled at the lack of any human sign and at the feeling that we were among the first to gaze upon those shorelines. Upon stopping for our first nights’ camp, one member of the group, a self-described man-of-the-wilderness, immediately started moving rocks and ripping up vegetation for a campfire. Fisticuffs were only narrowly avoided. There isn’t any compromise as I see it. We either practice “leave no trace” use of our wilderness, or we slowly lose it. Sadly, we seem to be doing just that. An unavoidable fact about nature is that we humans overall are doing our best to destroy it. Alarm bells are ringing everywhere. A recent report by the World Wildlife Fund reported that population sizes of vertebrate species—mammals, birds, reptiles, amphibians, and fish—have declined by 52 percent over the last 40 years. 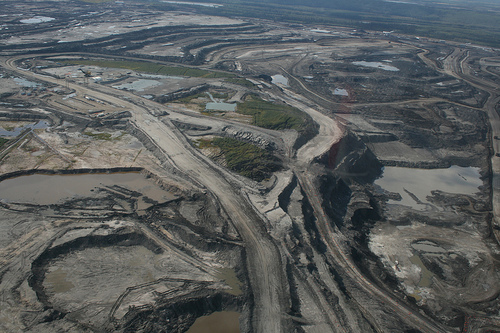 The area of “natural” land decreases every year as forests are cut for agriculture and developments, mountains are chomped down for coal and iron ore, and anything-in-its-path is torn away for tar sands mining. Tackling the destruction of nature by corporate and government interests is a huge and seemingly insurmountable challenge. Staying on trails, leaving your dog at home, packing out garbage, and following a few other simple rules for the use of wilderness and nature in general are most definitely not insurmountable challenges. The trailhead sign – a great place to spend some time to read! 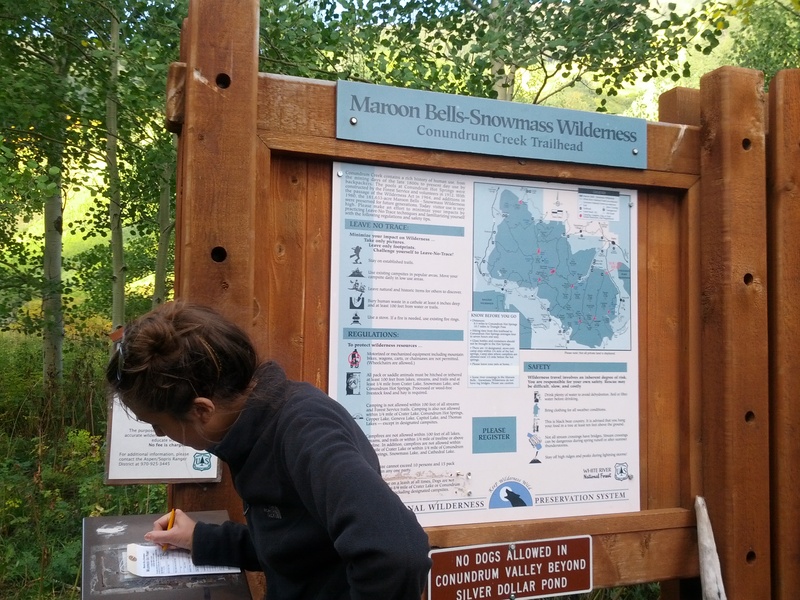 If problems and overuse persists at Conundrum Hot Springs, it’s inevitable that the number of people will be limited – in fact the Forest Service has already considered a permit system for Conundrum. I’m guessing that if use continues to grow, one option will be to put a backcountry ranger up at the top, whose job it will be to make sure rules are adhered to by hanging around, and in so doing, diminish the wilderness experience even more. I know I won’t visit Conundrum Springs again. 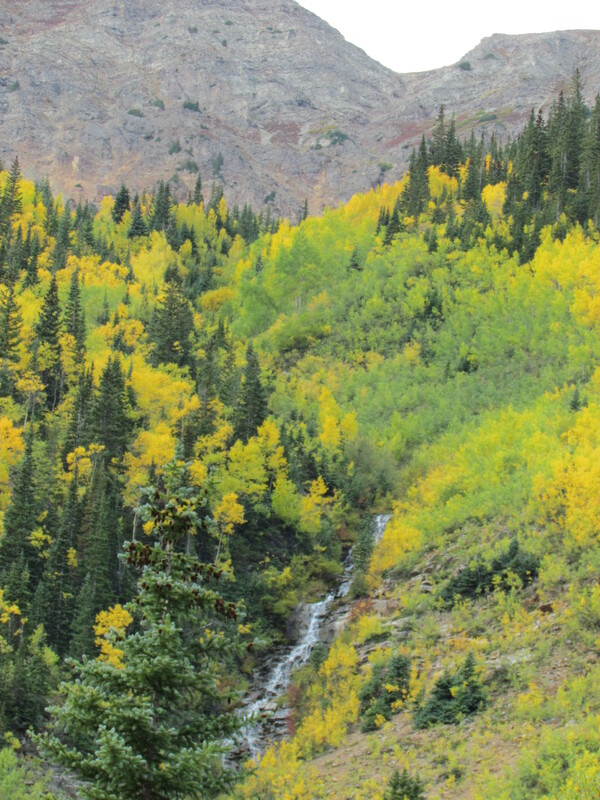 I did the hike for an experience in the wilderness of the Rocky Mountains, and although I enjoyed a backcountry experience with my daughter, we almost certainly could have found a more authentic wilderness experience and scenery just as awe-inspiring among the many other trails through the parks, forests, and mountains of Colorado. For all the anticipation and long hiking, we spent maybe 20 minutes in the hot springs and then left when the inane conversation among other dippers about over-consuming alcohol became too much to bear. I hope most of the people who do visit Conundrum do want to return though. It might trigger some internal switch for selfishness. Many people seem to struggle with the idea of preserving the qualities of wilderness for others. So maybe there’s a better chance of them doing it for themselves. Keep the trails narrow and clean. It makes them easier to follow in the event we want to walk them again someday. Visit the VENTURE OUTSIDE website to learn about our Holistic Adventures & Retreats!